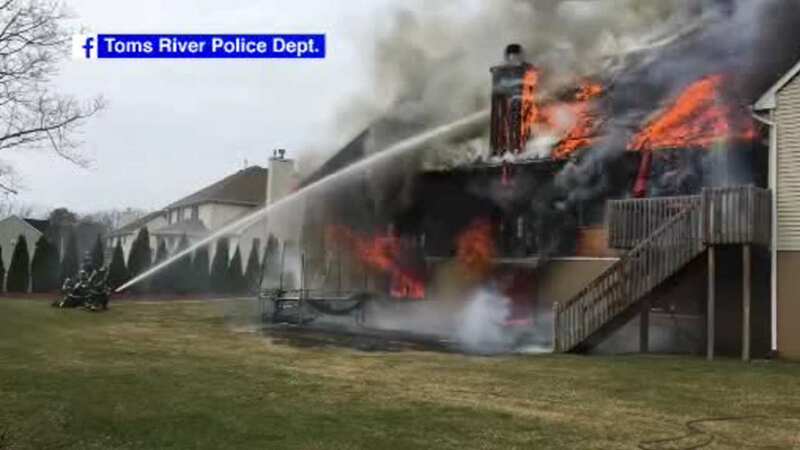 TOMS RIVER, New Jersey (WABC) -- Video was captured of a fire engulfing a home in New Jersey. Firefighters arrived at the home in Toms River around 3 p.m. on Friday. They say when they got there the fire had already begun to burn out of control in the back of the house. A family was inside at the time, but they were able to get out safely.